Clean Team is a reliable commercial cleaning company that will be in business for years to come. Over the years, Clean Team has proven that we can handle growth as well as respond to new challenges that arise. We have taken on several customers with specialized needs and have been able to customize a cleaning plan to meet those needs. Switching your cleaning service to Clean Team can be a smooth process as we make it our goal to provide you with a well thought out plan for the cleaning and servicing of your business. At Clean Team we take great pride in our work, and we strive to meet and exceed our clients' expectations. We take specific measures to ensure that we are providing the highest quality service. Weekly leadership meetings to review training, client relationships, quality and employee retention. CUSTOMER SERVICE When you call our office, you will speak to an actual person. We respond quickly by providing the essential information to our cleaners, supervisors, managers, and office staff. 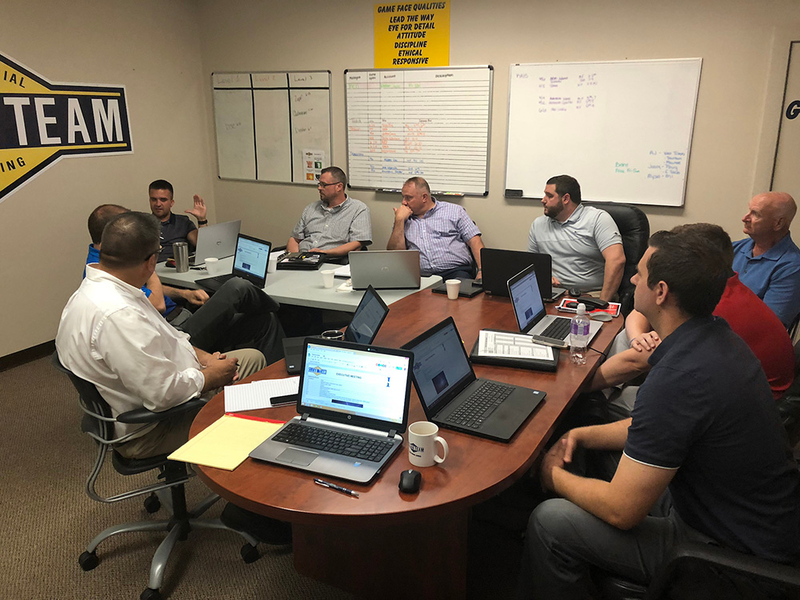 QUALITY CONTROL All of our employees are extensively trained using the Tell, Show, Do, Review method before they begin cleaning in your building. Each of our employees inspects the cleaned areas before leaving the work site. As added assurance, our supervisors and managers also provide a double-check of the area. Furthermore, each customer's building receives a formal inspection by a site manager on a monthly basis. CHRONOTEK Time on the job is one of the largest influences of quality in the service industry. Chronotek shows the time in and time out status of each of our employees as they clock in or out, 24 hours a day, 7 days a week. We know who is working, where they are working, and when they arrived and left. Chronotek helps us ensure that we are delivering efficiency and quality to each and every customer. ALERTS AND SCHEDULES Timekeeping is 100% accurate. Servers are synchronized daily to ensure 100% accuracy on all calls. Schedules can be used for guaranteed service, with alerts sent to supervisors and managers. CLIENT RETENTION In order to completely satisfy our clients' needs and expectations, Clean Team strives to build relationships with customers. We understand that the needs of our clients change over time. Clear communication is our way of ensuring that we can adapt our service to our client’s changing needs, thereby retaining them as satisfied customers. CELL PHONES All managers and supervisors carry cell phones in order to be reached if needed for immediate assistance. LOCAL EMPLOYEES Clean Team hires local employees. GAME ROOM Expanding on our sports theme, Clean Team has an area called the Game Room, which is dedicated to the training of our cleaning staff. As part of BSCAI's on-going effort to promote safety throughout the association and industry, BSCAI invites entries for its Safety Awards Competition. 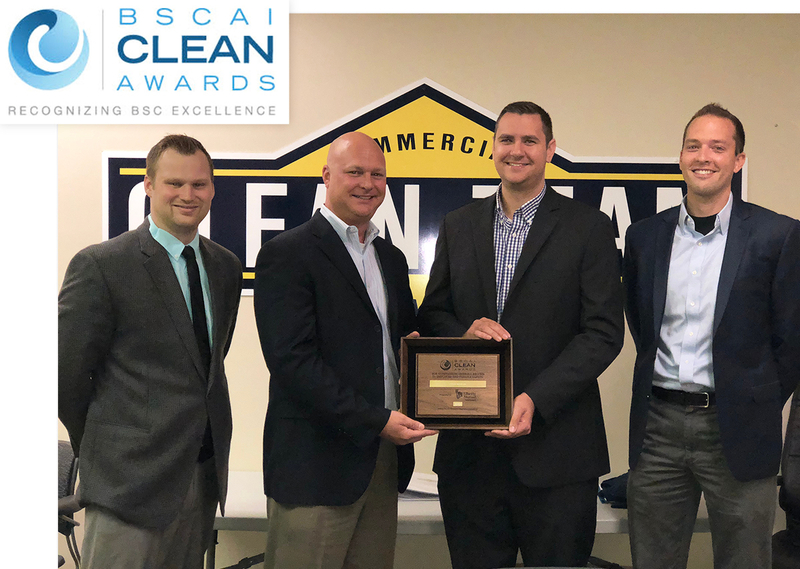 Clean Team accepted a safety award at this years Building Service Contractor Association (BSCAI) annual convention. As in previous years, BSCAI's Safety Awards will be given to the companies with the best safety records, and plaques will be presented to winners at the annual convention. Serving the Toledo and Tiffin, Ohio area. From the boardroom to the restroom, Clean Team, Inc. will customize a cleaning program just for your company. Our goal is to service your account today and tomorrow. We provide a clean environment to keep our customers healthy, happy, positive, and motivated.